AMMONNEWS - The filming in Jordan of a new Netflix project based in Tel Aviv has sparked anger among Jordanians who oppose the country’s ties with Israel. Images and video uploaded to social media showed a street in the capital Amman in which the sign was replaced with one of a street in Tel Aviv and the license plates on cars were swapped out for Israeli ones. Local production for the project is being handled by Jordanian company Desert Motion Pictures and filming is taking place at over 50 locations in Amman, according to reports in the Arabic-language media. 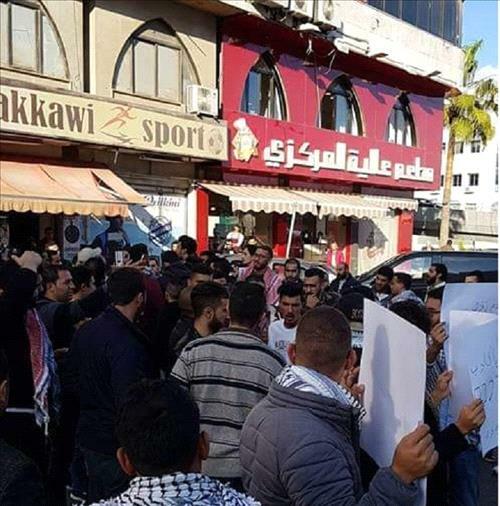 Though the two countries have a peace treaty, ties with Israel are unpopular among much of the public in Jordan and the images of the Israeli street sign and license plates were met with anger by many on social media. A group that opposes “normalization” with Israel asked the state-run Royal Film Commission of Jordan why permission to film the project was given and claimed locals interested in taking part in the filming were told they may have to wear Israeli military uniforms, the reports said. An unnamed source in the production company working on the project told the Al-Araby news outlet that no Israelis were involved in the production, and that the project would highlight the history of the Palestinian people.